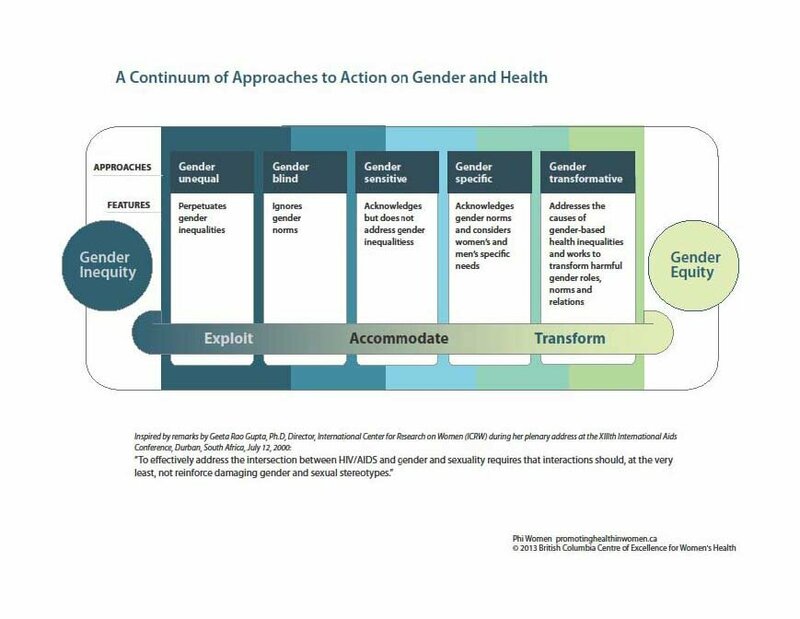 Unit 1: What is Gender Transformative Health Promotion? How Can Advocacy Promote Gender Transformation? This website offers practical tools, online training, and information about gender transformative health promotion. These resources have been developed for a range of health and social service professionals, as well as students, researchers, program managers, policy makers, and anyone concerned with improving health promotion. Using the resources on this website will help in developing the skills to design, plan and evaluate a wide range of health promotion activities that also aim to reduce gender inequities. Gender-blind programs ignore gender norms, roles and relations and may therefore reinforce gender-based discrimination, biases and stereotypes. The most common argument for gender blind initiatives is that they are ‘fair’ because they treat everyone the same, but by ignoring structured barriers faced by some, a program may contribute to inequities. Technologies may also be gender blind. For example, a report on gender inequities in science and technologies documented how car seat belts are not routinely tested using models that simulate adult women, particularly pregnant women. As a result, women, who are smaller on average than men, have been described as “out-of-position” drivers because they sit closer to the steering wheel than men (31).